Bleeding hearts (feeling types) judge by weighing one thing versus another–is this better or more agreeable than that? 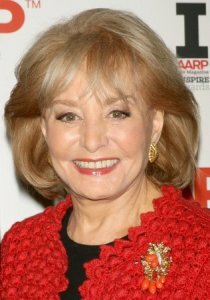 Barbara Walters’ finely honed judgment about people has fueled her phenomenal career in “personality journalism”. Bleeding hearts like Barbara are subjective, personal and emotional, warm and tactful. They decide based on like or dislike. They avoid conflict and seek harmony.